The three most important things in my skincare routine - @LaMer body cream, face cream and renewal oil. Body and face cream in the AM and renewal oil every night and on every flight! Truly the 3 things always, always in my bag. 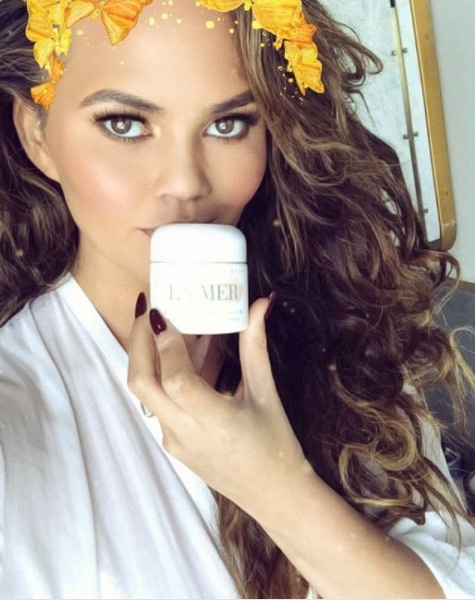 Go to @LaMer to watch #MyLaMerStory and share your own! In the midst of a @lamer #LaMerEditorinChic instagram takeover all week - don't miss it! Heading to nyc for #lipsyncbattlelive!!! Baby aspirin, one a day because I'm old, arnica because i am coated in bruises, la mer because I am dry as a bone and peel pads because my skin is made of salt right now. Eye makeup remover and vodka complete the kit.